We will never be told the truth about JFK’s assassination. In fact, the FBI has film they will not release. But the truth is coming out in pieces. There are enough pieces to complete most of the puzzle and make out the subject. It continues for several more pages, detailing many other crimes Estes had knowledge of, including illegal cotton allotments and payoffs. Estes’ testimony was conditional on certain demands, including immunity from prosecution, a full pardon, and absolution of past income tax debts. Talks between the Justice Department and Billie Sol Estes broke off later in the year. On June 19, 1992, US Marshall Clint Peoples told a friend of his that he had documentary evidence on one of the shooters in Dealey Plaza. On June 23rd, Peoples, a former Texas Ranger and a onetime friend of Henry Marshall, was killed in a mysterious one-car automobile accident in Texas. Investigator Harrison Livingstone spoke to Kyle Brown, named as a witness in the letter, at length in 1993, and Brown backed up everything Livingstone had heard. Kyle Brown, to this day, is one of Billie Sol Estes’ closest friends. those of Lee Harvey Oswald. The identification was made by A. Nathan Darby, a Certified Latent Print Examiner with several decades experience. Depository early on November 22, 1963. McClellan of Houston, Texas, onetime attorney for the law firm led by Ed Clark, which had represented Lyndon B. Johnson in the 1960s. 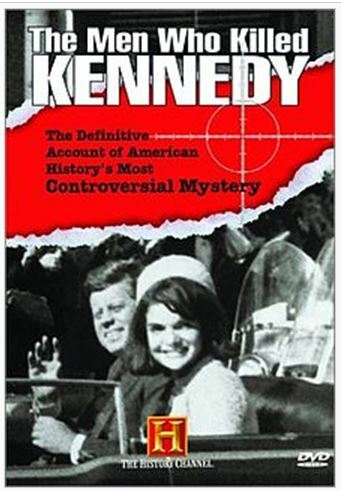 The facts behind the JFK investigation that have not been destoyed will be open to the public in another 30 years or so. Even so, more evidence is leaking out, such as Woody Harrelson’s father Charles Harrelson was involved in the assassination, with evidence he was one of the “tramps” briefly questioned by the railroad tracks behind the picket fence and grassy knoll. That was the night before the assassination. Lee Harvey Oswald’s 12 hours of questioning by the Dallas Police Cheif were not recorded on tape, nor where there any notes. Why? Did Oswald say something implicating the U.S. government? Oswald tells the crowd in the Dallas Police Department basement that he didn’t shoot anyone and he was a “patsy,” just before he is silenced by Jack Ruby. Jack Ruby had Chicago mob connections as well as friends in high places in the Texas Democrat party. LBJ formed the Warren Commission that placed the blame on “the troubled” Lee Harvey Oswald. A few of the Warren members were recently dismissed from the CIA by JFK. There is much more coming out. Hold on to your Tom Landry hats. Just before noon today, my friend John Stevens Rutter Lawrence, who works with me, and I and two other friends left the Texaco Building where we work going to the parade. We were walking down Commerce up to Main and Main to Akard and while we were walking up Akard towards Main Street we passed a man who was carrying a rifle in a gun case. I saw this man walking towards me, walking towards Commerce, and took particular attention to him because of his size. I am 6’5″ and weigh 200 pounds. This man was very tall, approx [sic] 6’6″ or 6’7″ over 250 pounds, very thick and big through the chest, in his 30’s, dirty blonde hair worn in a crew cut. Was wearing a grey colored business suit with white dress shirt, fair complexion. I remarked to my friend that there was a guy carrying a gun in all this crowd and made the remark that he was probably a secret service man. I could very easily identify this man if I ever saw him again. The gun case was holding a rifle because I could tell there was a gun in it as it was a combination leather and cloth gun case and without a gun, it would have been limp, but it was heavy and he was carrying it by the handle and the barrell of the gun was up at a 45 degree angle. It was beige or tan leather and olive drab material. We can place the time that we saw this man walking with the gun as I recall someone in the crowd asking for the time and they said it was 11:50 a.m.
During analysis of the film footage and assorted photos of the assassination of John F. Kennedy in Dallas in 1963, a mysterious woman was spotted. She was wearing a brown overcoat and a scarf on her head (called a babushkas). The woman (or man) appeared to be holding something in front of her face which is believed to be a camera. She appears in many photos of the scene. Even after the shooting when most people had fled the area, she remained in place and continued to film. Shortly after she is seen moving away to the East up Elm Street. The FBI publically requested that the woman come forward and give them the footage she shot but she never did. Was she or he, actually filming the JFK assassination to make sure all the possible witnesses were silenced? And that the entire crew would have to remain tight lipped or be implicated with her film? If she were just a bystander, why didn’t she come forward? The Zapruder film earned his family $1.5 million dollars. She would have certainly earned as much if not more.